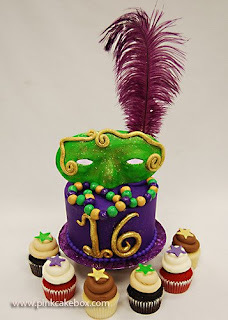 The Cupcake Activist: Happy Mardi Gras! Today is Mardi Gras (or Fat Tuesday)! Celebrate by wearing Mardi Gras beads and eating colorful cupcakes. 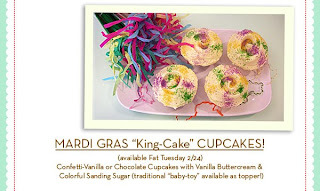 Mardi Gras cupcakes are available at SusieCakes for today only. You know how I feel about SusieCakes (I love them!). Get them while they last.